For those of you who followed young DAPHNE, service puppy-in-training, while she was hosted by the DC Team last summer through the paws4people Foundation, I’m pleased to announce that this crazy pup has recently “bumped.” She has found her partner for life. 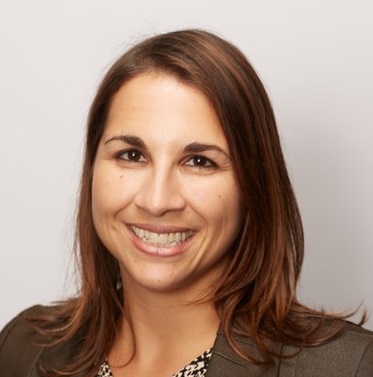 DAPHNE spent four months with the IAVA DC team. She was our office mascot for the summer, keeping us entertained by her goofy antics. 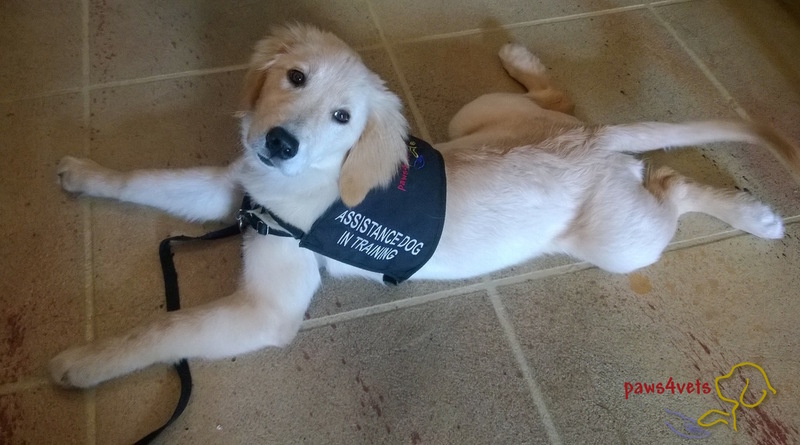 In September 2015, she left to start her official assistance dog training. A few weeks ago. DAPHNE graduated from her training program. 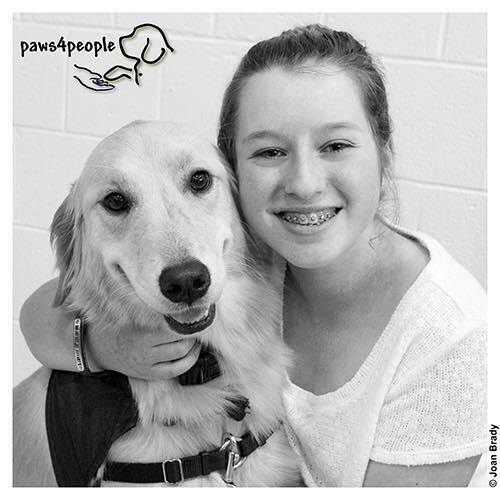 She found her partner, Ava Smith, a 12-year old girl with some severe neurological challenges and will be working with Ava to help hone her skills to best suit Ava’s needs. Neurologists are working to figure out the reason for Ava’s mobility issues. She was perfectly normal and healthy and then suddenly she started declining. She may regain some of these functions – unfortunately no Neurologist can tell her what she will and will not regain. DAPHNE entered Ava’s life in July 2016. DAPHNE will assist Ava with retrieving and carrying items for her. She will also assist with chair transfers and alerting Ava when she is anxious in order to help calm her down. Ava’s life changed dramatically over a short period of time and the change has been hard for her to deal with. DAPHNE will help Ava cope with her life changes and be her best friend through the good and bad times!